Rob Duguay lives in Queens, New York and performs regularly around the New York City tri-state area, leading multiple groups including Songevity, Low Key Trio, and Rob Duguay Quartet and Trio. He performs with a large list of fine musicians including Chris Brown, Abraham Burton, Mark Gross, Chip White, Justin Kauflin, Nadav Snir-Zelniker, Noah Preminger, Winard Harper, the Mingus Dynasty, and more. Aside from performing, Rob stays busy in the music community by teaching private music lessons, composing original music, and managing one of New Yorks finest jazz clubs, The Jazz Standard. Rob also books jazz events for area clubs, and is the artistic director for About the Swing, a non-profit that brings jazz events to schools throughout the NYC area. Born in Toronto, Canada, Rob grew up in Simsbury, Connecticut. He began studying classical piano at age 6 and started playing jazz in high school, picking up the piano, upright bass, and percussion instruments. He found his passion. Throughout the years, Rob has had the opportunity to study and play music formally and informally with many great jazz talents while living in Vermont, New Orleans, New York City, Washington, D.C., and Paris, France. 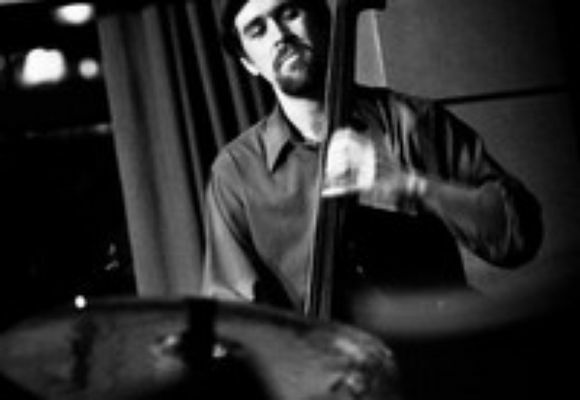 While a business student at the University of Vermont, Rob was the big band bassist for four years under the direction of Alex Stewart. He had the opportunity to perform with Clark Terry, Paquito D'Rivera, and Arturo O'Farill, among other talents. While a student, Rob also had the opportunity to live and study in Paris, France for eight months where he was quickly integrated into the jazz scene, playing in many of Paris jazz venues. After graduating with a degree in International Business Management, Rob was accepted into the University of New Orleans graduate jazz studies program. He received an ASCAP award for jazz composition upon entrance to the university through the help of the Louis Armstrong Foundation. He fell in love with New Orleans and performed in a handful of local establishments before hurricane Katrina led to evacuation. Without skipping a beat, Rob entered the Masters of Music in Jazz Studies graduate program at William Paterson University under Dr. David Demsey. He was mentored by bassist Marcus McLaurine and studied the art of ensemble playing with Mulgrew Miller, Vincent Herring, Armen Donelian, Harold Mabern, James Weidman, Gary Smulyan, Bill Goodwin, and Paul Meyers. Rob also had the opportunity to work under Dr. John Edward Hasse, jazz curator at the Smithsonian National Museum of American History in Washington, DC. There he helped Dr. Hasse research for an upcoming book; plan JAM (Jazz Appreciation Month); review proposals for an international traveling exhibit on jazz history; and all while playing in the local D.C. jazz scene. Later, Rob represented the Smithsonian at the International Association of Jazz Education conference in 2007. Robs love of travel enriches his music through the opportunity to collaborate with international musicians. In addition to extensive performances in and around New York City, Rob has performed in Montreal, Quebec; Portland, Oregon; Washington, DC; New Orleans, Louisiana; Vermont; Paris, France; Montreux, Switzerland; Cape Town, South Africa; New Jersey; Philadelphia, PA; and throughout Connecticut. Robs music reflects the diverse array of living and legendary influences he actively seeks out. Through his musical achievements and his love of jazz, Rob has earned recognition for bass performance, composition, and service in the jazz community.